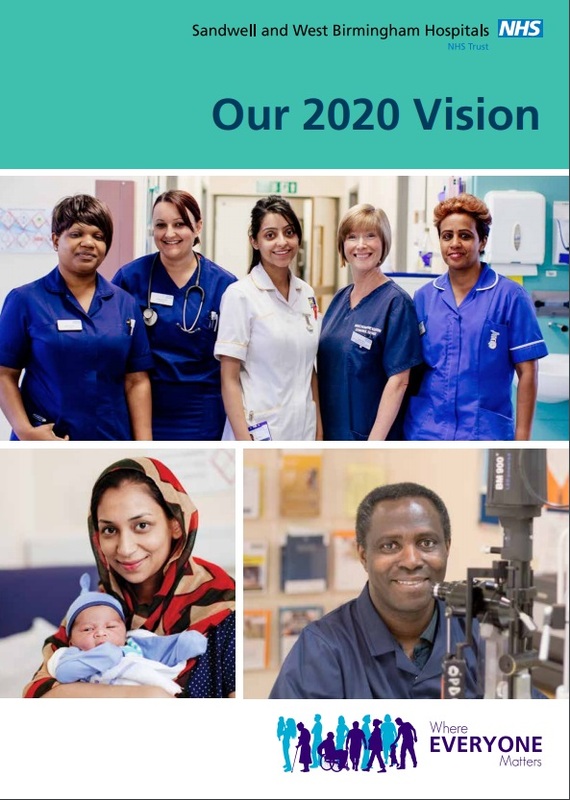 We want everyone to have the chance to learn about our vision for care in 2020. Our goal is to become renowned as the best integrated care organisation in the NHS. That is a big ambition and we already have a strong track record and reputation for placing integrated care at the heart of what we do. We are not starting from scratch. Whether it is in our work to help patients and staff make healthy lifestyle choices, or offering more locally accessible outpatient clinics in community centres and GP practices. The focus is now on this becoming the way we do things across every part of the Trust not just in some specialist areas. We know that in Sandwell and West Birmingham, patients experience integrated care on a daily basis. Our single measures of success will be the opinion of those we care for: Our patients.